Top-to-bottom cleaning: Review your home from shingles to cellar. Have you made any renovations or improvements since last spring? Did you add a room or remodel a kitchen? Examine your policy to ensure it offers proper coverage to rebuild your home to its current state. Asset organization: Go through your stuff. Did you receive expensive jewelry for Christmas or purchase any other valuable items in the past year? Check to see if their total value exceeds the limits on your homeowners policy. If so, consider a personal property endorsement or floater to get proper coverage. Car detailing: What is the current value of your vehicle? You might be able to save money by lowering your coverage. Here’s a good rule of thumb: if your car is worth less than $1,000 or less than 10 times your premium, comprehensive coverage may no longer be cost-effective. Rain forecast review: Do you need an umbrella? If your assets have increased, they might be at risk if you are showered with lawsuits. Consider an umbrella policy, which kicks in if you reach the liability limit of a standard homeowner or auto policy. To complete your spring cleaning, consult with your agent to determine what changes, if any, are best for you this season. 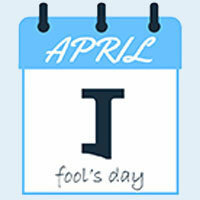 Was This Year’s April Fools’ Day as Cyber-Pranky as Last’s? While April Fools’ Day has always been a day dedicated to prank-playing, it was verging on an old, tired event for kids who pranked their parents. But with the Internet came new ways to prank – some good, some maybe not so good. This “joke” was a mistake. Google celebrated the day by adding a working feature to Gmail that allowed users to end an e-mail thread with an instant GIF of a Minion character dropping a microphone. But people reported that, due to the button’s proximity to “Send,” they accidentally used the prank GIF for work e-mails. Google pulled it shortly after. Netflix partnered with the stars of TV’s Full House on this prank, which saw the entertainment company tweet about a trailer for an upcoming John Stamos documentary. The doc was supposed to highlight the actor’s other career as a musician, and was complemented by a video of a fake Stamos meltdown when he realizes Netflix was joking about the documentary. Or was the meltdown fake? The day before April Fools’, Yahoo ran a fake news article with a headline that read “Trader Joe’s to Close All Stores by 2017; Plans to Discontinue Products.” Fans were up in arms until the foodie grocery store denied involvement. Yahoo had to delete the item. So, how did 2017 compare? Dale Carnegie’s classic how-to book still makes a lot of sense: even in the 21st century, it’s human nature to want (and need) friends. But finding new friends can be tricky. Of course, we live in a digital world, and if making online friends is your goal, it’s a cinch. Mind you, some of those new digital friends may turn out to be bots or algorithms, but they can give the impression of friendship. Levy also says we are more likely to connect with someone with whom we have something in common. Just find out what, and connect. Vozza, too, has suggestions for making new friends, including not waiting for others to make the first move, and following up on their overtures. It seems the basic tenets of Dale Carnegie’s system still work. You can make real friends. Even in 2017. Inspect your driveway and walkways. Are these areas safe and smooth? Repair any broken, cracked, or uneven areas. This helps prevent accidents on your property. And don’t forget to fix fences and gates. Winter weather may have taken a toll on your home’s exterior. Check hinges, latches, and locks to ensure they work. If you have a pool, maintaining these deterrents is especially important to keep your own kids or neighboring children away from the pool area and out of danger. Check the water heater, and if you notice any corrosion or leaks, get it repaired right away. As well, seams and caulking on doors and windows can crack over time and allow moisture to enter your home. This can cause further damage to its structure. Reseal or recaulk where needed. You also should clean out your gutters and clear away all the debris left by winter storms. The gutter and downspout system protects your home from water damage by directing water away from your roof and foundation. When it’s clogged, it can’t do its job. Overgrown bushes can block windows and create shelter for thieves. Trim the landscaping so everything (and everyone) is out in the open. Also check outdoor lighting for burned-out bulbs; ensure your home is well lit to discourage any unwelcome visitors. If you’re worried about a homeowners insurance claim, this annual checkup can give you a safe home and peace of mind.